Meditation is something that I’ve started committing to on a daily basis, and I think it really helps me to reduce anxiety and find some clarity in this crazy life. As I wrote in my recent post about Nap York, I have been searching for new places to take my meditation to the next level. One place that I’ve discovered is Modrn Sanctuary. OK, to be honest, I first read about them in Time Out New York, so I guess they discovered it and shared the info with me. 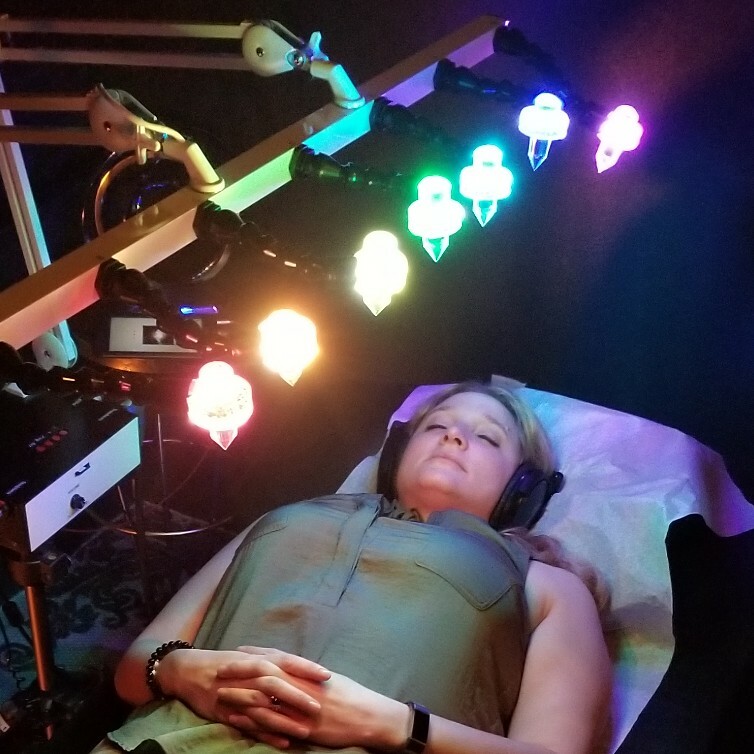 But I have tried their Crystal Light Bed therapy twice now, and I really recommend that everyone try it out if they can. ‘What is a Crystal Light Bed?’ you may ask. 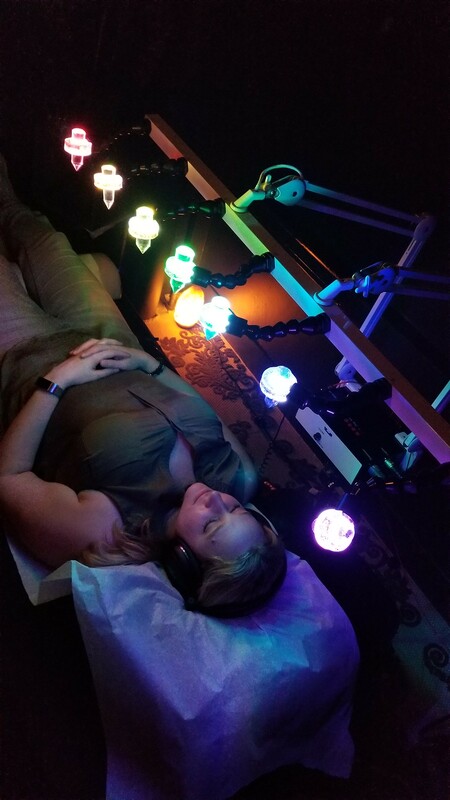 Excellent question, because it’s a very unique ‘energy bath’ that uses a combination of crystal light, ethereal soundscapes, vibration therapy, and energy frequencies to help clients reach a high level of relaxation and a deeply meditative state. I had done this therapy once before, and had visualizations of seeing the planet from space. That time I had chosen the lowest frequency, Root. This time I went for the opposite – the highest frequency, Crown. My experience was quite different. I don’t know if it’s because I had a crazy day and my mind was racing, but I could not fully focus. But when I was able truly open up my mind, what I felt was more along the lines of floating. First I felt like I was floating, maybe 6 inches above the biomat. I felt weightless. A few minutes later I felt as though my bed had moved 90 degrees; like it had moved perpendicular to the floor and I was somehow in a standing position. (Obviously I wasn’t really moving, but it really felt that way to me.) However, near the end of the session, my alignment changed again and I spent a majority of the final minutes feeling as though I was horizontal again, but on a slant. I felt like my feet were higher and my head was low to the ground, like I was on a seesaw or a scale tipped to the side. Afterward, I reflected and thought it was interesting that my head, or the Crown Chakra, was the ‘heavy’ side of my tipped scale of consciousness, because that was the frequency I had chosen for the session. My instincts tell me that this is a sign of chakra imbalance. Maybe I’m top heavy and need to work more on the lower chakras. I will have to do more research. I am really loving that Crystal Light Bed. Not only does it look cool, but the biomat is so relaxing. I read that the bed costs $16,000 to make, which I guess means that I can’t have one in my house… lol! But I plan on going back again. The pricing is a little more affordable than it was last time, but as of now I only go when there is a discount or coupon to use. Modrn Sanctuary also has other services, including a Salt Room which I’ve heard lots of good things about. Compared to Nap York’s very low rates, Modrn Sanctuary is definitely more expensive but you get a more premium experience. It’s definitely great that there are options on both ends of the spectrum! I still have other places to explore, such as MNDFL Meditation near my office. It’s really a wonderful journey to find the best place to meditate. It’s never too late to get started with meditation! Have you ever tried it? Do you have any places to recommend? I’d love to hear from you!